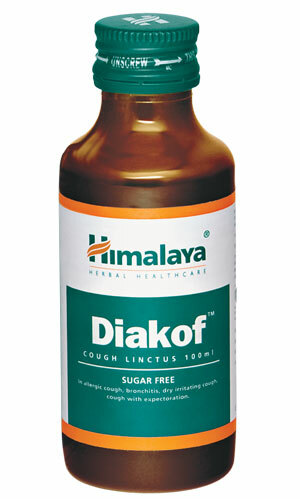 Beneficial in both productive and dry cough for people with diabetes mellitus. Children: 1 teaspoonful (5 ml) three to four times daily. Adults: 1 to 2 teaspoonful (5 to 10 ml) three to four times daily. Pilfer-proof bottle of 100 ml.